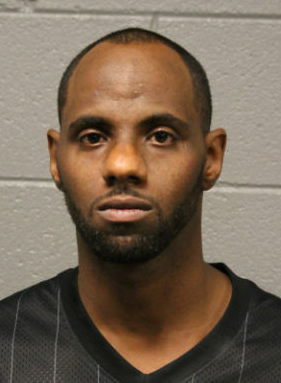 A man who allegedly tried to mug four people while armed with a Jack Daniel’s bottle is among three men who’ve been charged with robbery in the Loop recently. Prosecutors said Marlon Brandon, 36, approached a couple as they walked in the 700 block of South Plymouth on the evening of June 2. He allegedly raised the bottle of Old No. 7 over his head and twice yelled out, “Give me your money!” The man, 54, and woman, 36, ran away. Brandon followed the couple and then broke off to threaten two more people in the same fashion, police said. Cops found Brandon a few minutes later as he stood in the doorway of a closed retail shop in the 500 block of South Dearborn. Prosecutors charged him with two counts of armed robbery and Judge John Lyke ordered him held without bail. Brandon was only charged with trying to rob the first couple because police could not find the other pair. • An Auburn-Gresham man has already pleaded guilty to robbing a 27-year-old woman of her phone in the Loop on May 28. Darion Gayden, 19, received 18-months probation and five days of community service from Judge Marvin Luckman in exchange for the quick guilty plea. 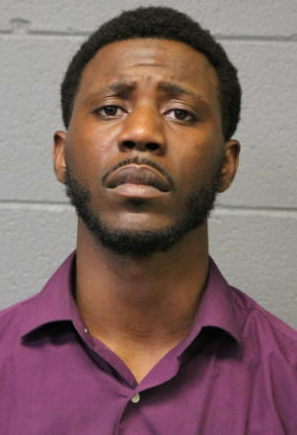 Gayden struck the woman’s arm to gain control of her phone near the Roosevelt Red Line station and then fled the scene on a nearby bus, police said. Cops tracked the victim’s phone and eventually pulled the bus over in the 400 block of North Michigan. A witness identified Gayden on the bus and the victim’s phone was recovered from his pants pocket, police said. • Demarkus Harris, who served four years for a 2013 robbery, is back behind bars after being accused of robbing a woman at a Loop CTA station. Prosecutors say he reached around a woman’s neck and pulled off her gold chain as she climbed the stairs to the Quincy Orange Line platform. 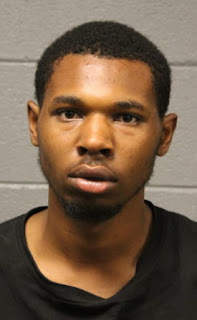 The 33-year-old woman screamed for help and bystanders chased Harris down, detaining him for cops in the 100 block of West Jackson, according to police. Harris, 23, is charged with robbery. He’s being held in lieu of $20,000 bail.